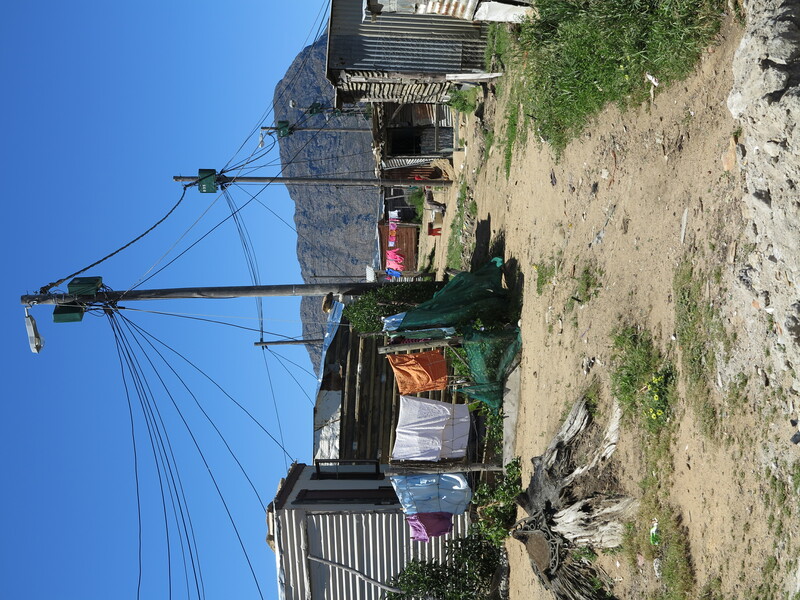 Blaise Dobson and Jean-Pierre Roux (SouthSouthNorth) argue that African urbanisation and burgeoning informal settlements present an opportunity to build truly adaptive cities. African cities are characterised by high levels of slums and informal settlements, largely informal economies, high levels of unemployment, majority youthful populations, and low levels of industrialisation. They have the highest growth rates in the world despite the fact that sub-Saharan Africa is still only approximately 40% urbanised. The urban poor, who largely reside in informal settlements and slums, are vulnerable to a range of global change effects, including global economic and climate change impacts. These can combine to have devastating effects on the poor, who generally survive on less than US$ 2 per day, but also on the ‘floating middle class’, who are defined as living on between US$ 2 – 4 per day, and constitute 60% of the African middle class. The African Centre for Cities (ACC) and Climate and Development Knowledge Network (CDKN) hosted a three-day workshop in Cape Town in July aimed at developing a framework for understanding the intersection between climate resilience and urban informality, and promoting integrated urban development and management within African cities. ‘Champion groups’ from Accra (Ghana), Kampala (Uganda) and Addis Ababa (Ethiopia), which included local authorities, academia and civil society attended. 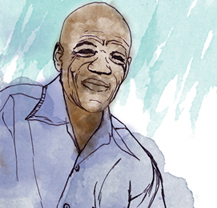 Pieterse’s four pathways challenged a few of our preconceptions about what an ideal African city should look like. First, it highlighted the real possibility that selective greening (e.g. promotion of a ‘green economy,’ improved building standards and more efficient infrastructure) can fail to address deeper structural issues contributing to informality and vulnerability of marginal communities. This greening is likely to reinforce the status quo of small, gated enclaves and underinvestment in slums while not addressing the spatial issues that exacerbate informality and vulnerability. Second, it highlighted the ideal of an Adaptive City, which is not necessarily high-tech. A preoccupation with high-tech solutions for African problems may ignore the most accessible and affordable solutions to urban challenges. The late Nobel laureate Elinor Ostrom’s parting appeal was that we should not pin our hopes on a single international agreement to manage common resources like the earth’s climate system. Instead we need “evolutionary policy” that can adapt quickly to uncertain futures. According to her, these adaptive policies critically depend on sub-national actors, in particular cities. While the US failed to ratify the Kyoto protocol, more than 1000 US cities have now signed the US Climate Protection Agreement to strive to meet the Kyoto protocol targets in their own communities. While nation states struggle to negotiate a high-level climate change agreement and national governments interpret how best to integrate climate compatible development into their particular contexts, it is often up to sub-national entities, like cities, to implement these plans. Ostrom’s work also shows the importance of playing to the strengths of a myriad of institutions to cooperate across multiple scales. 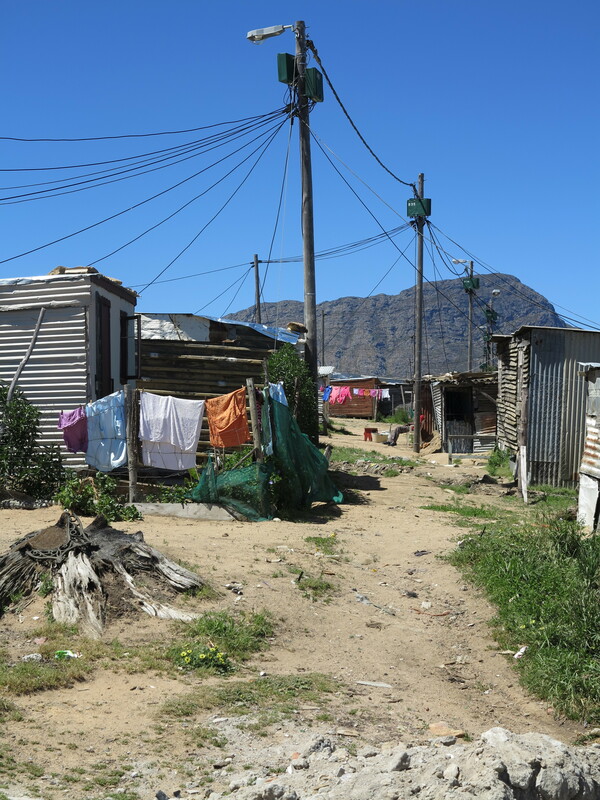 On our workshop fieldtrip to Langrug informal settlement an hour outside of Cape Town we saw how her insights rang true. The improvements that have made Langrug a more resilient settlement despite its informality were due to collaborations between a network of different institutions, communities, and individuals cooperating across multiple scales. 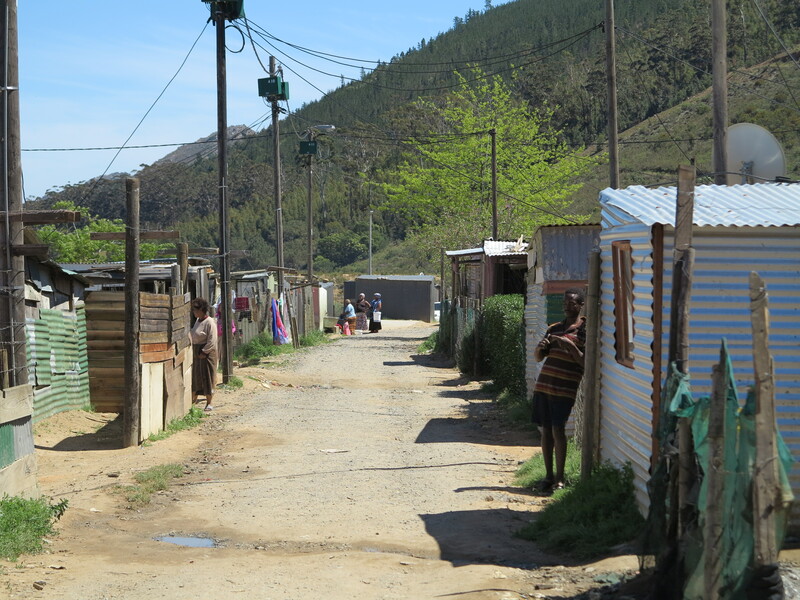 Block committees in the settlement, Slum Dwellers International (SDI), the Informal Settlements Network (ISN),Stellenbosch Municipality, the University of Cape Town and Worcester Polytechnic collaborated to mobilise financing, gain political legitimacy, map out the settlement with a Geographic Information System (GIS), and embark on various upgrading projects. There is another reason why cities should be in the forefront of the fight against climate change: They are responsible for 70% of global greenhouse gas emissions. In rapidly emerging African economies, environmental concerns take a backseat to development priorities. To the extent that African governments are concerned about climate change at all, they are predominantly looking at adaptation rather than mitigation. However, whilst a ‘development first’ approach is understandable from an equity point of view, many ‘leapfrog’ technologies exist that are both pro-poor and GHG mitigating. Researchers within the MAPS collaboration have developed a typology to classify poverty-alleviating mitigation actions that may be helpful for African leaders as they prioritise their efforts to build adaptive cities. African cities have cost effective options like bus rapid transport systems, small plot intense agriculture, participative waste management, household biogas, improved energy efficiency building designs, cooking and lighting technologies. Development and mitigation do not have to be mutually exclusive; there are low emissions development pathways that are both viable and optimal. At the workshop, presentations by the city teams from Accra, Kampala and Addis Ababa all confirmed and elaborated on Pieterse’s characterisation of the challenges facing African cities. However, the presentations also highlighted the geographic and cultural specificities that make each city unique and generic cookie-cutter solutions a bad idea. On the second day, delegates attempted to develop a framework to approach informality and resilience across African cities in a systematic way; an ambitious and laudable experiment. We believe the potential energy unleashed in the sharing of comparative stories from different cities is a good starting point for further work on a stylised framework to address issues of urban informality and resilience in the African context. It was exciting to be part of a south-south exchange where African solutions were sought by Africans, for African cities. In our opinion, cities (urban governments and their constituents) have a critical role to play in addressing the threat of climate change. The theme of African urbanisation in the 21st century cannot be ignored. 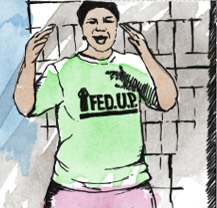 Socio-technological solutions exist that can harness the latent energy of informality. Growing urban informality can be an opportunity to leverage innovative ways to make the Adaptive City a reality. We occasionally invite bloggers from around the world to provide their experiences and views. The views expressed here are those of the author, and not necessarily those of CDKN. For more information about this CDKN project, please visit the project page.